The toddler group at Emmanuel Church meets on Thursday mornings during school term time between 9.00 – 10.15 am and Monday mornings between 10.00 – 11.30am. There is no admission charge, however any donations are gratefully received to help the group continue. 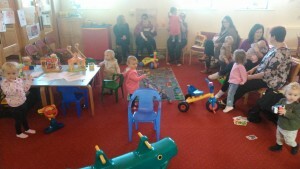 The purpose of the group is to give the children a safe play space whilst the adults can chat over a cuppa. Toast is provided for the children too. There is often a song time with musical instruments to make some noise. Parents/guardians with small babies are also welcome. A short time of family worship, interactive confession and craft on the theme of the day. 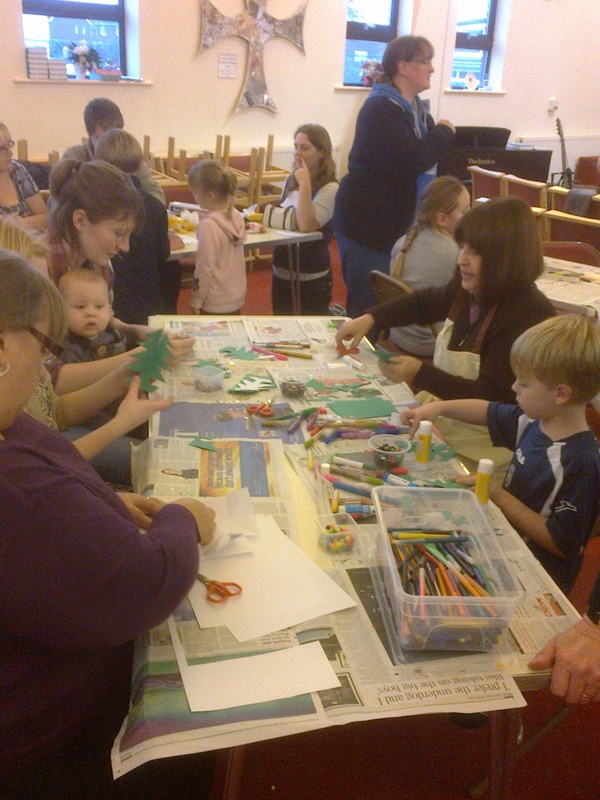 Messy Church is a family time where parents/guardians can join in with all that is going on. 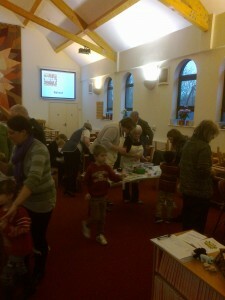 Everyone is welcome to attend Messy Church. This our social time for children and families at Holy Spirit Church during the week. It happens on Wednesday mornings between 9.00 – 11.00am during school term time. Everyone is welcome. This is an informal time of worship and bible exploration on Thursday evenings (7.30pm) at Holy Spirit. Often, food is involved as part of the fellowship. Everyone is welcome. Our social space for young people at Emmanuel Church. Table tennis and snooker/pool are available as well as table activities. This group is for children Year 5 and above, admission is free but there may be limited space on occasions for safety reasons. See Emmanuel Church weekly diary on the facebook page for dates. A time to reflect, read, pray. Come for all of the allotted time or just for part of it. These evenings happen every couple of months, check the Emmanuel Church weekly diary for dates. This group is for those that like to enjoy yesteryear and also for those with developing memory issues. The group meets on the fourth Wednesday of each month at 10.00am.